My weekly message is going to go here. It will be a few lines, perhaps 1 or 2 paragraphs of generally friendly content. 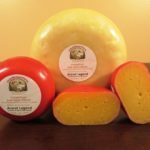 Launch into describing the various FarmCasts produced this week. Very brief descriptions. It has been a little while since you have heard from us, hence injuries and updates title. Things are still plugging along. However, it is more in thought than in deed. Scott injured himself a couple of weeks ago. Work on the creamery has been on hold while as he recovers. He is still immobile for most of the day, using crutches mostly, and unable to stand for long periods of time, lift or do anything that engages his hip and hamstring. Hurts right there at the top where they connect is the problem. It will heal with time and we are biding our time and enjoying each other’s company. It is beneficial to slow down and be at peace with what is rather than fuming over what is not. The sheep and goats are due to lamb and kid in the next couple of weeks. That is always a joy to experience. We are supplementing them with a small amount of feed pellets every couple of days. It is the kind used for supplementing forage. There are additional vitamins and minerals that are needed for healthy birthing and healthy offspring so we provide that support. The goats need it the most. 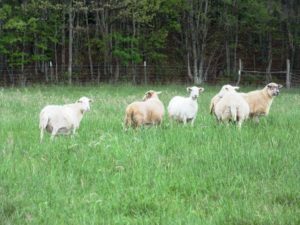 We have had lots of success with the sheep with no supplements and they are really fat right now. Extra weight can cause issues during delivery so we don’t want to exacerbate that problem. However, they are in the same pasture and, therefore, they share in the feed. There is no way to keep them separate. 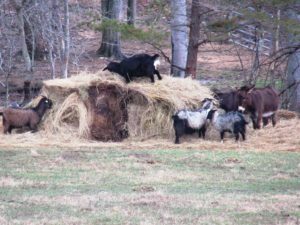 Because our pastures are deficient in selenium, the goats and their kids in particular need to have that mineral supplemented. We have lost a few kids due to white muscle disease, selenium deficiency. They became really weak and were not able to keep up with mom. They would become so weak they could not stand. They would simply disappear. Young kids like to hide under small spaces when resting. This year we are keeping them close and, as I said, supplementing. The does increase their levels of selenium and pass that to the kids via milk. None of the cows look like they are pregnant. Perhaps Dora, but she would be the only one. It’s hard to tell when they have a belly full of hay and their sides are sticking out. 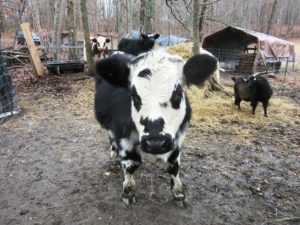 Violet has always been really, really round so it is hard to tell whether she is carrying a calf. The rest of them look pretty normal. If any have calves it will be in late May or June. I hope we get at least one but who knows. I’m working the garden right now. 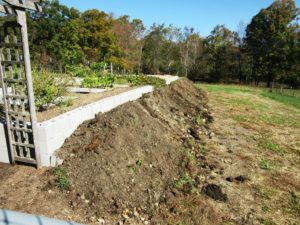 There is a lot of composted manure/hay to be sifted and carried to the raised beds. Scott made a really nice screen that breaks up the clods and gets the big roots out. I surely don’t want those in the garden. It also makes the soil nice and fluffy. It will take a couple more weeks to complete that project since I’m doing it on my own. The seeds have been ordered and received and I’m looking forward to getting some in the ground. I also have some onion and potato sets ready to go. This season will be even better than the last. The soil gets better and better every year. May you always have water, shelter and peace. Winter on the farm lately has been very wet. The building site is really, really muddy. And it’s not just any mud. It’s this sticky stuff that clots up on your boots. Literally, there is an inch of mud that is loose on the surface. When you walk across it, you build up a large mass of red gooey stuff on your boots. Behind you is a clear path of prints where the crust of mud has been completely removed. It’s incredibly hard to get this stuff off of your boots. At least we have lots of blocks to use for scraping posts. A few days ago, it rained so much that the big pond was filled deep enough to cover 3/4 of the overflow pipe. It’s back down now, but we have had over 5 inches of rain recently. I love that we get so much . . . and I’m happy the sun is shining today. As I mentioned above, the weather has been wet. Working outside has been impossible for a couple of weeks. 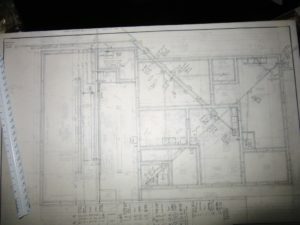 Instead, Scott has been working overtime on the plans for the creamery. Plumbing is the topic he is focused on. He has spent hours watching YouTube videos and is currently drawing up the plans. Architectural drawing is one of Scott’s strong suits. Working with his hands on detailed images is a true talent he possesses in spades. A quick trip to town brought home some new tools to make the drawing tasks go much more smoothly. He also has quite a few of the plumbing fixtures purchased. They are full-scale models as he works through the details of what goes where, which pipe line crosses above another, how deep of a trench to get the proper drop so everything flows out and many other details I know nothing about. 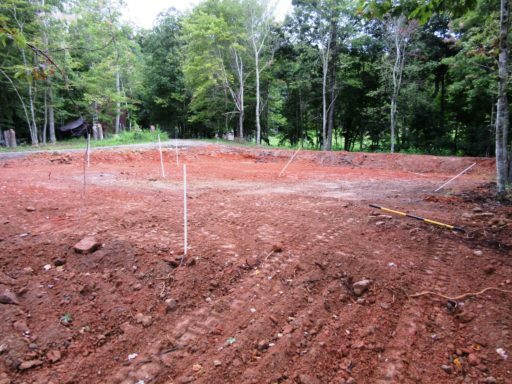 As soon as the weather clears and the ground dries up some, Scott will be back out there finishing the footers then digging trenches for the plumbing. We are still waiting for the lambs to be born. Ewes are so much wider than tall at this time. Every morning the first thing I do is open the blinds and count the sheep. We still have seven. Five of them are still very wide. Two are too young to be pregnant as they were kept apart from the rest to ensure that did not happen. I think we were at least successful with that action. The five wide ones participated in unauthorized breeding which is why we are monitoring the flock closely this early in the year. 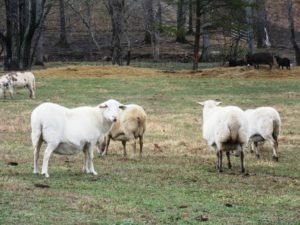 Normally, lambing season begins the first of April. The grass is starting to take off and it is much warmer by that time. The lambs will thrive in that environment. Last year we had quite a bit of difficulty with our sheep flock. We have one aging ewe who had triplets so large we had to assist. And another had triplets but was temporarily paralyzed during labor. Again, we had to assist. It was as very bad year for lambs. So I am watching them all very closely. Still waiting . . . . .
January was a really cold month. Scott has been busily gathering wood, chopping and splitting, loading crates of wood and hauling them inside. My part revolved around learning some really good tricks for maintaining a comfortable level of heat. At first, there were lots of really hot nights followed by the main furnace running for long periods of time as the fired died and it got cold inside. As Scott collected a greater variety of wood and I gained greater experience with using it, the temperature has become more consistent. We used lots of wood but not lots of electrical energy. The wood stove is paying for itself. Love my stove. 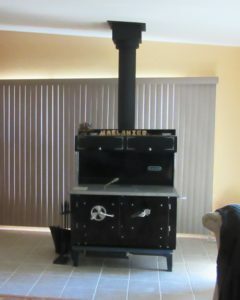 Look for wood stove cooking recipes and tips in the very near future. I’m also doing some research on cooking on a hearth fire. This kind of hand made touch with traditional cooking methods are fascinating to me. The closer we are to the natural origin of the food, the closer we are to the nutrition and goodness. Winter is a difficult time for me emotionally. Traditionally, around this time of year I get emotional at the drop of a hat. I’m looking forward to my birthday and the beginning of spring. That usually alleviates the emotional instability and things start roaring forward at break-neck speed. Life becomes more like a roller coaster. I’m also shopping for new vegetable seeds and looking forward to getting the garden going. Cravings for fresh greens start to build up and get stronger and stronger as the season gets ready to take off. Thanks for following us. May you always have water and shade. You think you get the cow agenda and then you don’t. This post is a little peak into some of the great insight we have into the lives of animals. It is so enjoyable to get to know the various species that we have. 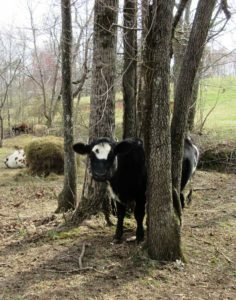 The cows are peaceful and placid and stand around and eat a lot. They really, really like routine and really, really detest change. That produces a stubborn streak that rears its head just when you are least prepared to receive it. This happens particularly when you have in mind the other tasks of the day that await your attention. In other words, your attention is in the future and not in the present moment. Frustration ensues because, at that point, the cow agenda becomes one of suddenly losing all sense of what they do every day at 9:00 in the morning. 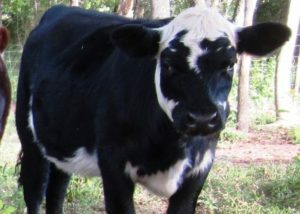 Cows are, as many other ruminants, creatures of habit. Once you have them trained to a particular path or “agenda” they will pretty much follow it without too much effort on the part of the farmer. This holds true until you, the farmer, have another agenda. Being efficient in nature, you are already there in your mind taking care of business. You expect the cows to follow along with your plan. In reality, cows will follow your thoughts pretty well. Or perhaps it is body language and other communication cues that make up the other 93% of communication that humans provide that is not speech. Who knows. What I do know is that if I am not fully present with them, things begin to get a little dicey and do not go according to my human plan. The cow agenda, which is not mine and completely unknown to me at this point, takes over. I believe they must chuckle or signal to each other, “Silly human!” Once mindfulness returns, cow orderliness returns. It’s pretty simple really. It goes like this. The cows walk up to the milking parlor everyday. The two milkers automatically go into the milking area and the rest pass by and go to an adjacent area where they get fresh hay and perhaps a small treat. On the day in question, one milker goes into the milking parlor, the other goes on around with the other cows. We have to chase her back. Then she wants to play tag or perhaps hide-and-seek or maybe catch-me-if-you-can. Following that, she decides to manifest her mule personality. Now she refuses to move at all. Sighhhh. It is at this point I realize I am not fully present. I’m on to the next task. I am getting really frustrated. So I stop, take a deep breath, focus on the present moment and give the cow my full attention. I look at her. She looks at me. I stand back and give her room to move forward. She moves forward, giving me a larger girth than usual, and proceeds to enter the milking parlor and puts her head into the stanchion. That’s all it took. Cows are creatures of habit. Anything different can upset them. Even if it is a simple change in the farmer’s demeanor and attention. Farming is a learning experience every day. It’s learning about the animals and it’s about learning about me. May peace be with you always. The creamery construction is coming along nicely. The top concrete block rows are finished up to the floor heights . . . finally. To be clear, I mean the floor level for both floor heights. There is a 28″ difference. 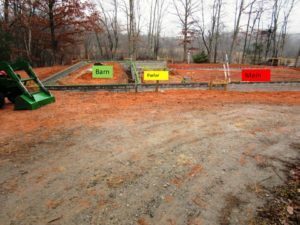 The barn floor is higher (green lines) while the parlor (yellow lines) & main floor is lower. I would like to explain what you see here. I’ll fill you in on our milking dairy design. The dairy working space (the parlor) can be flat, or have a ‘pit’ or be entirely raised off the floor. 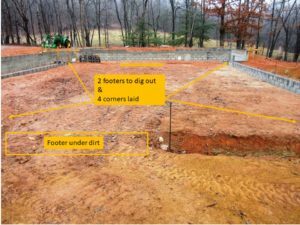 The more common, least expensive and easiest to work is a ‘pit’ design; the pit is simply a long trench or hole below floor level to make the cow’s udder available at a good working height. That milking pit can be up to 3’ deep. You walk down steps into it, the cows are standing at an angle on the common floor level with udders towards you and the work with the cows begins at a good height for the farmer. Our milking parlor will be a one sided ‘milking pit’ (yellow lines). The shape of the land slopes and was the deciding factor in our parlor plan. 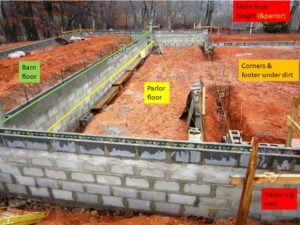 The long left-hand barn-parlor wall will be poured solid & have a formed concrete lip extending 6″ past the wall to support the cow milking stalls metal support system. 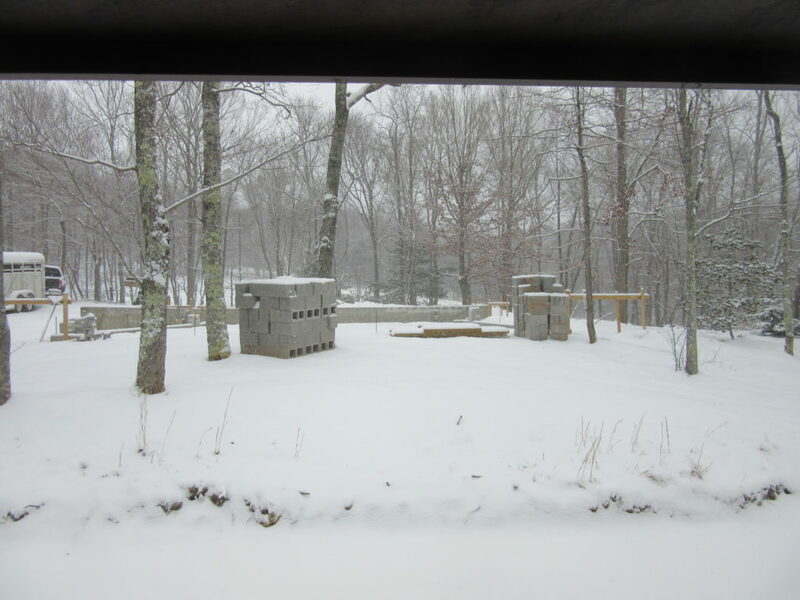 The retaining wall is closest to the driveway. It is designed to hold back mud, water and vehicles. 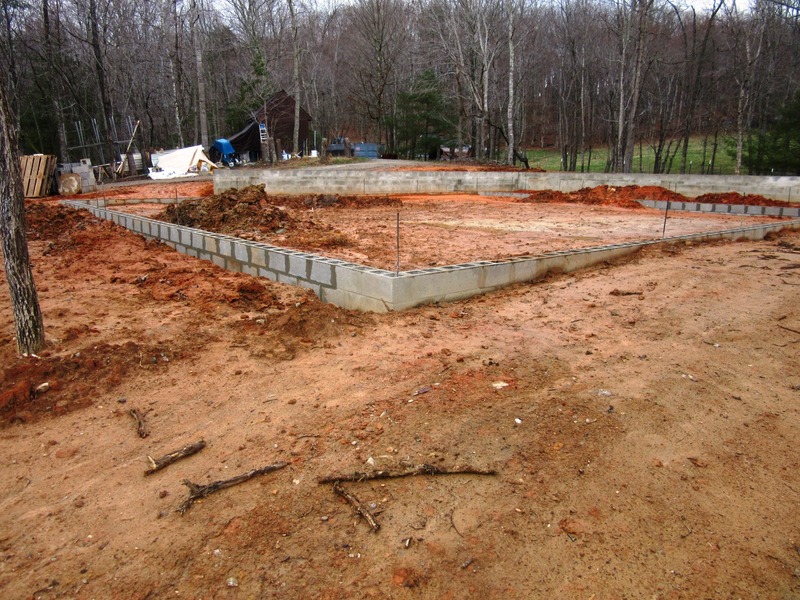 Let’s talk structural building strength: For the barn floor (higher), the top row of blocks will have the inside pieces knocked out. These top blocks reinforced with steel rebar will become part of the poured floor, locking the floor edge to the wall and down to the footer. 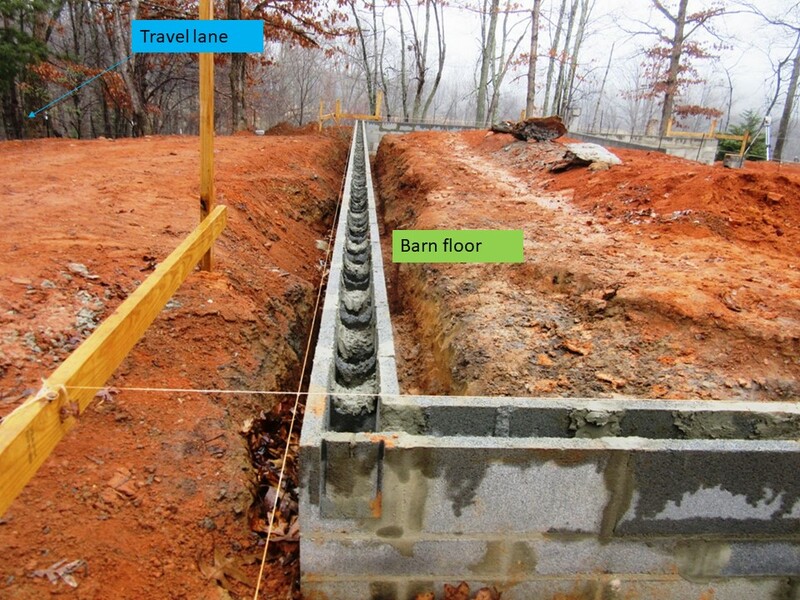 The retaining wall is setup the same way for the same purpose. As it is today, I still have two footer lengths to dig out; look closely to see where dirt and steel bars are showing between those lower floor corners. 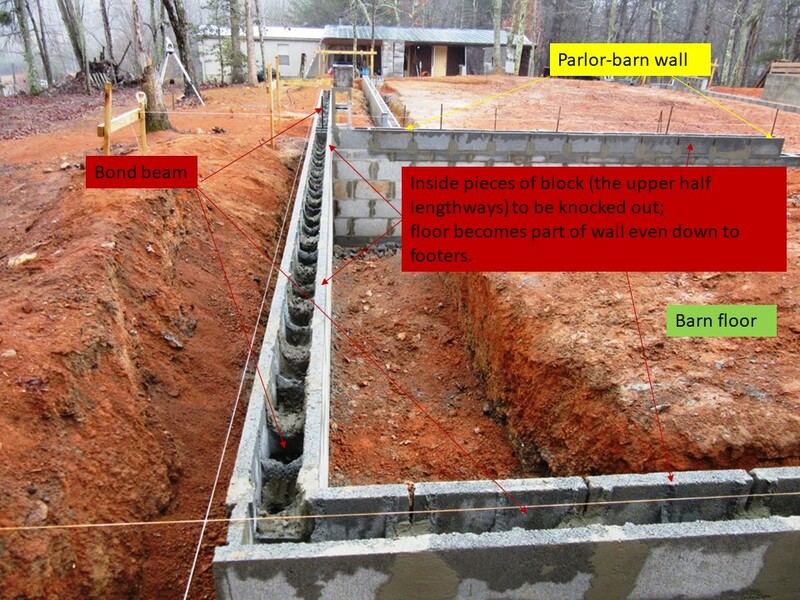 These footers and walls define the shorter building ends. 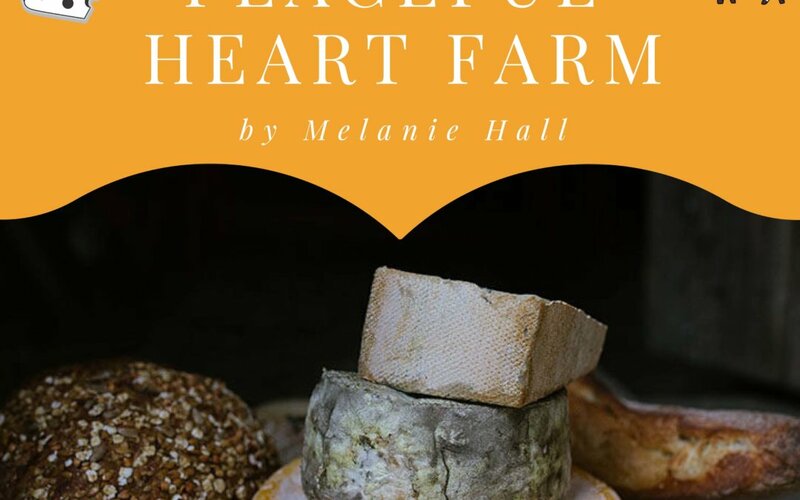 This is where the cheese make room, the aging coolers and the commercial kitchen all reside. I temporarily filled in the footers with dirt. There was a need to be able to drive heavy equipment across the floor areas carrying in all those blocks. 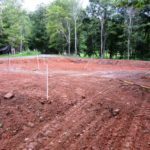 I will rough grade the dirt with my tractor before I dig out those footers and complete the lay up of those shorter walls. The dirt rough grading will include making the floor area of the walk-in coolers lower by 4″. That’s extra depth is needed for the cooler floor insulation. The animals get to the creamery building by walking the natural ground path along a fenced highway or travel lane. The animal travel lane is nearest that higher barn end of the building. They will find the entry and exit to be comfortable as it will fit the shape of the land. The cows will stay up on that left-hand ‘barn’ floor; they will come in the building corner on that floor then leave the building corner from that same floor level. Dirt moved and graded, the last footer blocks in place, then layout with strings all the pipe trenches. It’s like a little 3D puzzle. It will be time for digging trenches for the pipes! That will take a good effort in the cold hard ground. 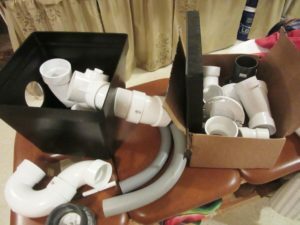 All of those floor drains, bathroom and kitchen drains, supply line conduits for water, electrical and gas need to cut across the floor at various angles and depths. After setting all those pipes in place and back-filling those trenches it will be time for digging the footers for the internal block walls! All the inside room walls will be regular common blocks as you see here. Many of those walls are weight bearing, carrying the roof and attic storage. My oldest brother is coming to the farm from Florida to help walk through all the plumbing details so his knowledge will give me great feedback. Like I mentioned, I have a lot of trenches to dig so I’ll get back to sharing more after all the snow melts and when the next step is visible. One of the first things that Scott did when we “retired” to the farm was build me this really fantastic garden. It is made of cinder blocks. You can read more about it here. He created it to be a permanent structure, requiring as little maintenance as possible. There is still a bit of work to do to make the soil the best garden ever, but we were able to plant lots of vegetables and they are growing. Due to the length of time it took to build my really great garden, we started too late to have early peas, lettuce and broccoli. There was lots of time to plant the rest of the garden. I planted two types of corn, perhaps five different bean species and no less than five different squash varieties. The watermelon and sweet potatoes are vining all over the place. The tomatoes are large enough to be staked up off the soil with lots of green ones growing at a rapid pace. I have a few beets, chard, turnips, kohlrabi and rutabagas coming along nicely. One eggplant has a couple of fruits and the peppers are just getting started. Yesterday we went out together to pick off any squash bugs that might be around, and we were also looking for vegetables to harvest. 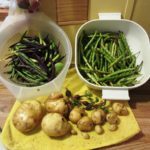 So far this year I have picked a couple of meals worth of yellow wax beans, a few green beans and one patty pan squash. Oh, and a radish or two. The best part of gardening is getting to pick the vegetables. 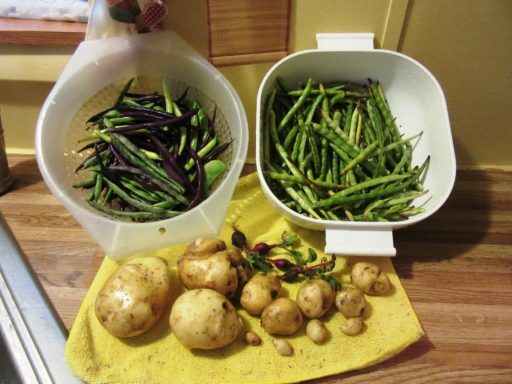 As you can see from the picture, I now have black-eyed peas, potatoes, purple podded pole beans in addition to the aforementioned wax and green beans. Yum, Yum. Scott rented a little machine that I call a Bobcat. He has another name for it (track loader). This little gem he used to dig out the high ground and move it to the low ground. 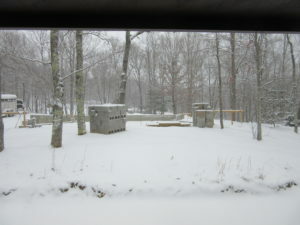 The purpose was to shape the building foundation area. The way he did it meant we did not need to truck in any other fill dirt. That saved a lot right there. One end is 28″ higher than the other. That is to facilitate the milking area. While it is higher than the rest of the building, it is at ground level where the cows will enter and exit the building. Scott is an absolute genius at using the lay of the land to harmonize his plans with the original plan of the creator. We have scheduled visits from the propane gas and electric companies for next week. They will be providing the much needed input to move forward with power and hot water for the creamery. And as soon as the ground dries out enough, Scott has a machine rented to help with digging the footers for the foundation walls. We are moving right along with this project. 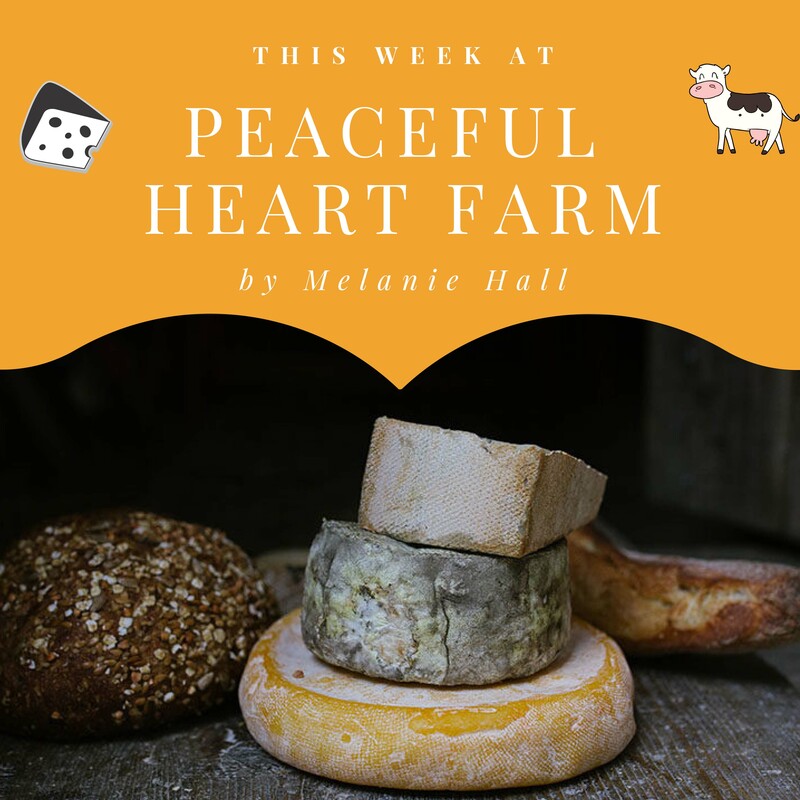 It is truly an exciting time at the farm.